In all our lives are moments and feelings that define us. At Elie Designs we let our customers carry these moments with them forever. 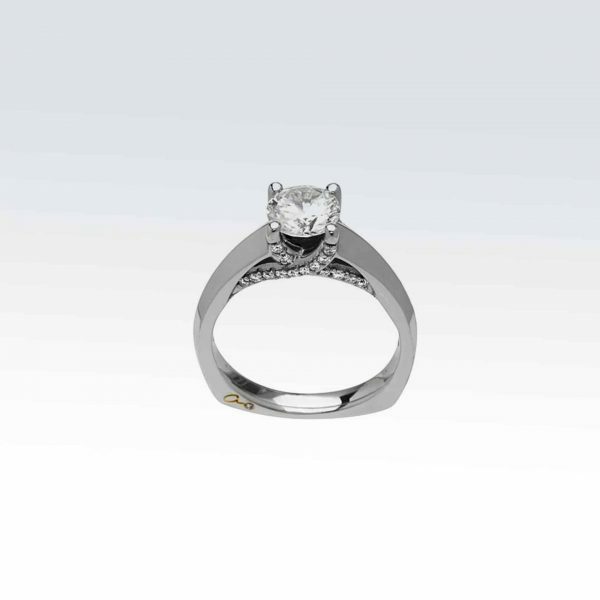 People come to us to design and craft their jewelry design ideas. 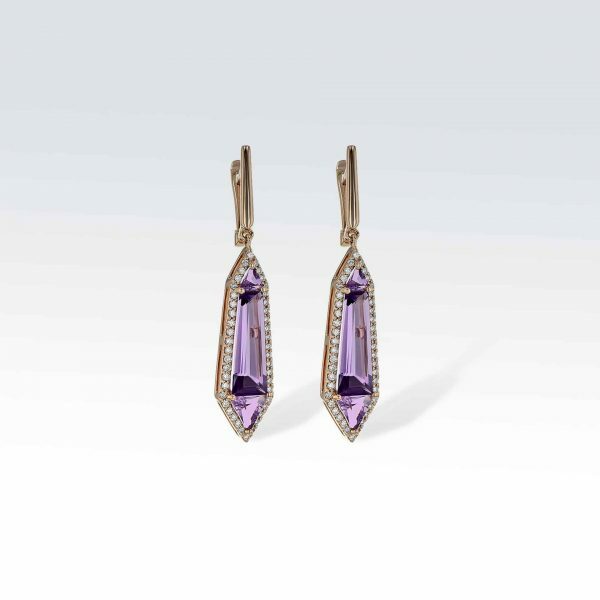 This original pieces embody their most important life events and their most profound relationships. Some may want an engagement ring or an eternity ring, or a piece that memorializes a lost loved one or celebrates the birth of a child. Others may want a piece that symbolizes a relationship with a parent or friend, a sibling, even a beloved pet. But what every customer wants is a piece unique to them, to their lives and feelings. That is why Margarette Elie invests the time to truly understand each customer, talking over a coffee at our studio in Yelm, WA, an hour outside Seattle, to understand the needs of every client. 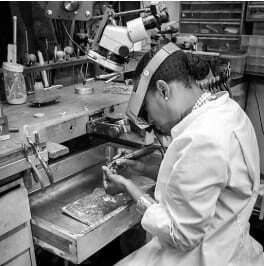 From the initial jewelry design idea, to the computer visualization, to the intricate process of hand crafting each piece, the person’s particular needs remain the focus of every step of the work. 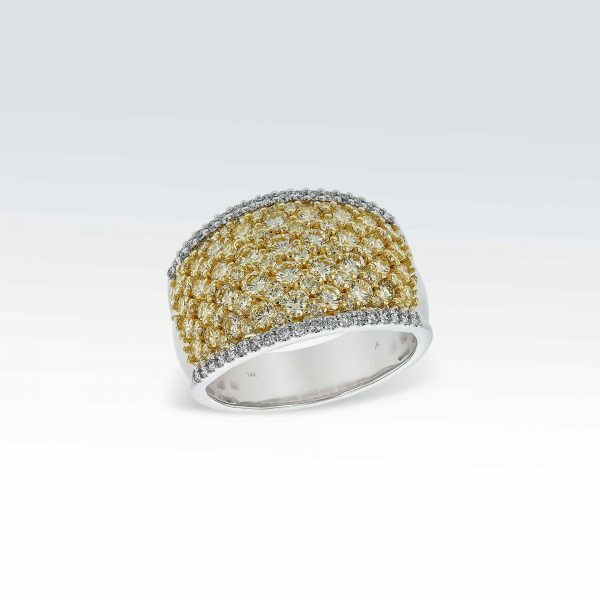 And in the end, each delighted customer has a piece of jewelry, worked from the finest materials and to the highest standards, which speaks personally and individually of their most precious moments. Every week in our workshop award-winning jewelry designer Margarette Elie creates new sophisticated custom designed jewelry. These are just a few examples. 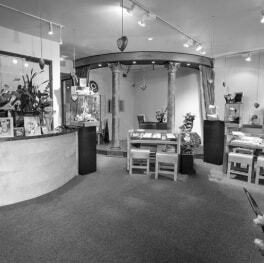 For more of our work browse our online catalog or bring us your own jewelry making ideas at our store and workshop in Yelm, WA. Your story is as unique as you. Some of our customers love the great outdoors and bring Trophies home from their adventures and travels. Dan is an avid hunter and outdoors man and his trophy was an ivory tooth from an elk from of his hunting trips. His jewelry idea was to get a ring created that incorporated this trophy. 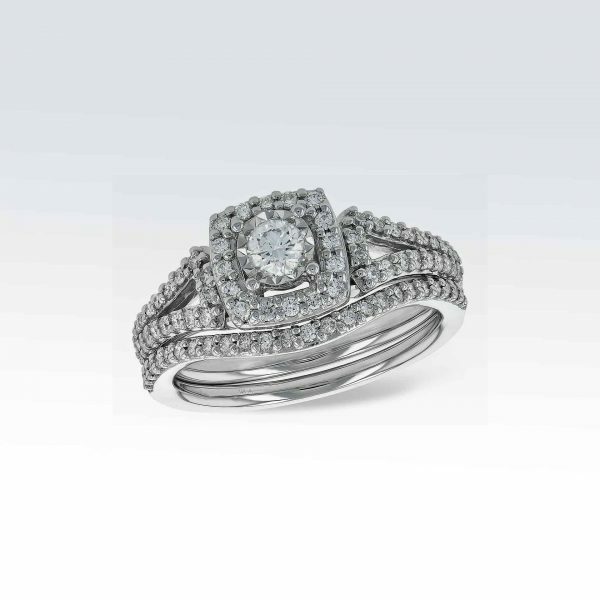 The simple Sterling silver ring that was created is cherished by his wife and worn everyday. Whatever your trophy we can create a beautiful heirloom with you. Becky always wanted her dream wedding ring. So she came to us with here existing wedding sets to design here own unique wedding rings utilizing the stones from her existing bands. After counting and meticulously measuring all the stones on those rings Becky designed her new wedding rings with us using all her old diamonds and a few additional ones. She now LOVES here rings. Celeste was looking for a great for her mother’s 80th brithday. Since her mother already had all the jewelry she could wear this had to be special. The ring that created consists of all the meaningful symbols of here mother’s life. Daphne brought us her family treasure: an old college ring from the grandparents. She wanted to create a ring just like that, but as a college ring sporting her achievements. We designed and crafted this striking piece with inlaid green jade. Sallyanne had just lost her beloved dog and wanted to create a lasting token for the memory of her dog. We used the photograph of her dog to hand carve a beautiful 14Karat dog pendant with a diamond collar. 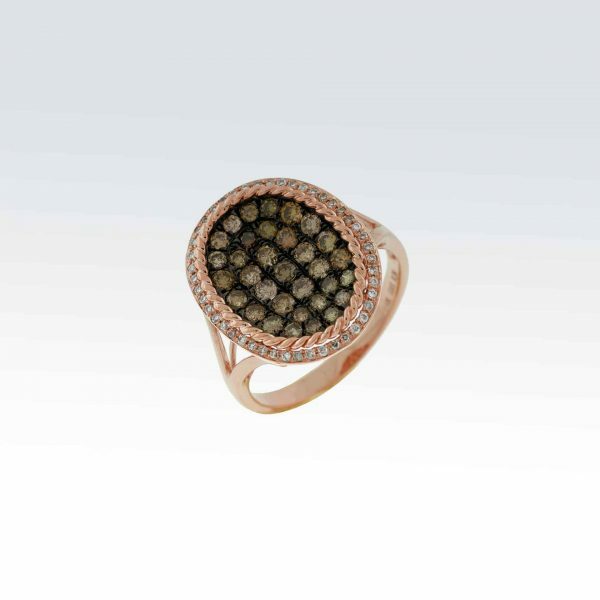 14Karat Rose Gold Diamond & Mocha Diamond ring. Mocha Diamonds .82ctw, Diamonds 0.15ctw. 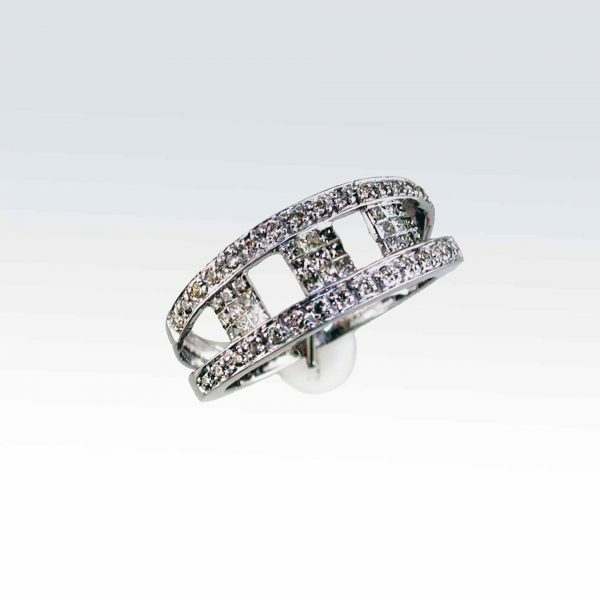 14Karat White Gold Wedding Ring with 0.50 carat Diamonds. 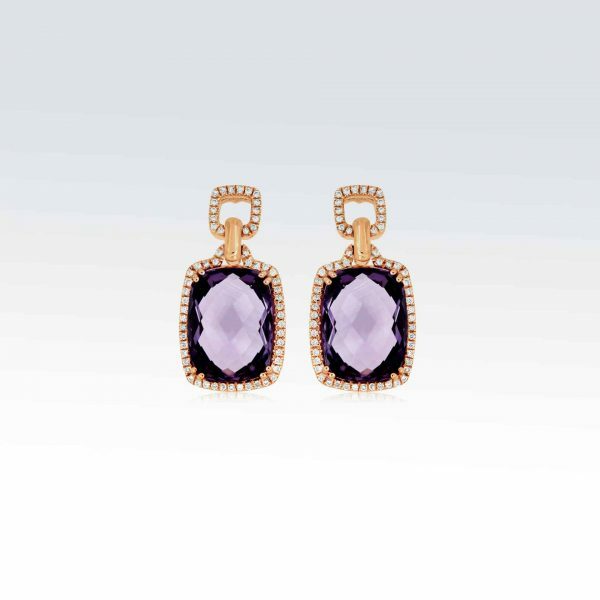 14Karat Rose Gold Diamond & Amethyst Earrings with 12.7carat Amethyst and 0.34carat Diamonds. 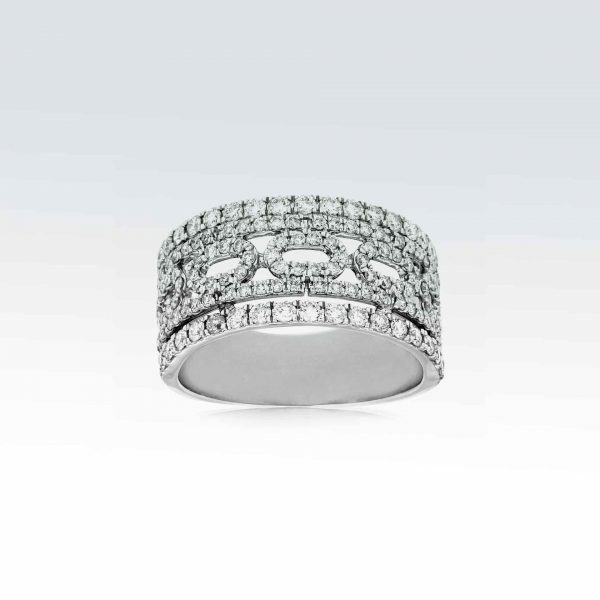 14Karat White Gold Diamond Band with 1.04ctw Diamonds.